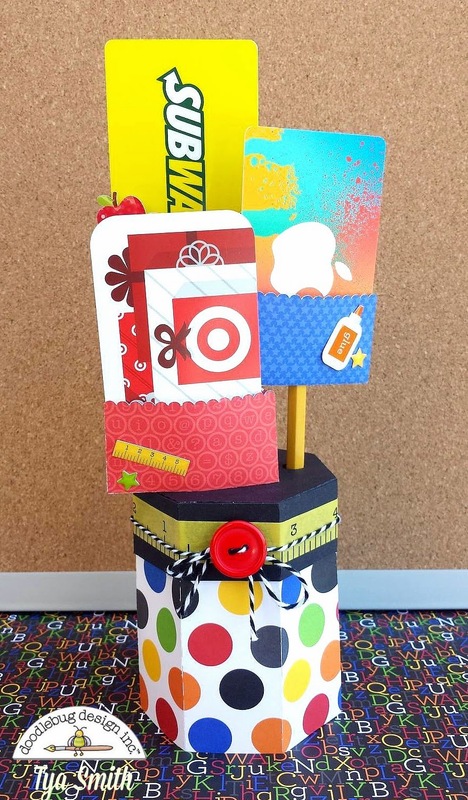 I used my beloved Silhouette machine to create a gift card holder and an adorable fun fold Step Card to make these gifts for teacher. 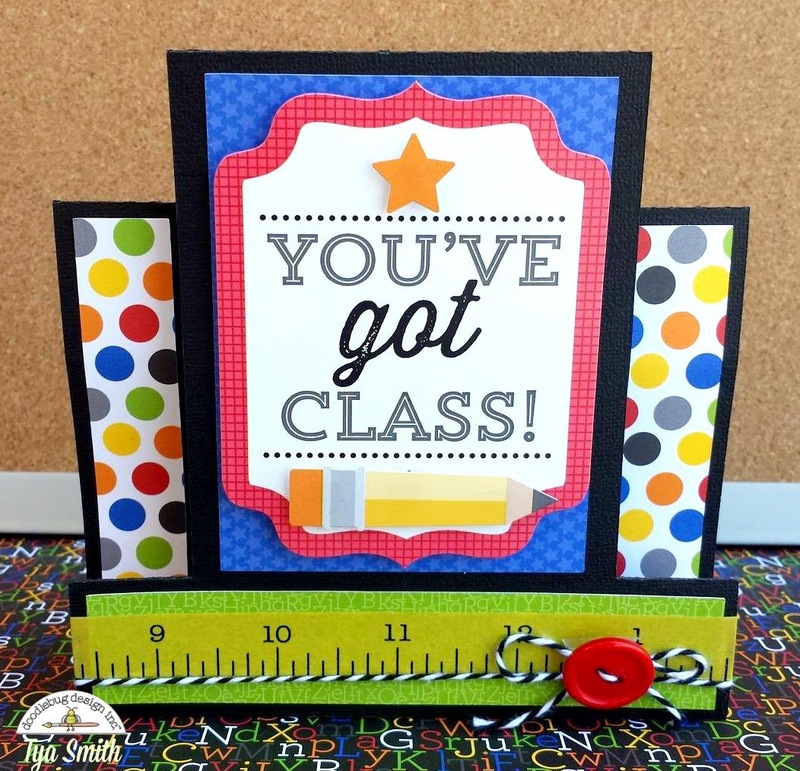 I used the 3D Envelope Pencil Holder Gift file and the Square Center Step card files. For the card I used the 6x6 paper pad because I love the smaller scale of the pattern papers when making cards. For the card sentiment I used a sticker from the This and That sticker sheet. The orange star and pencil are stickers from the Icon Sticker Sheet. I also used one of my all time favorite washi tapes - the Tape Measure washi tape along the bottom edge. Some black and white bakers twine and a bright red button finish the card off. 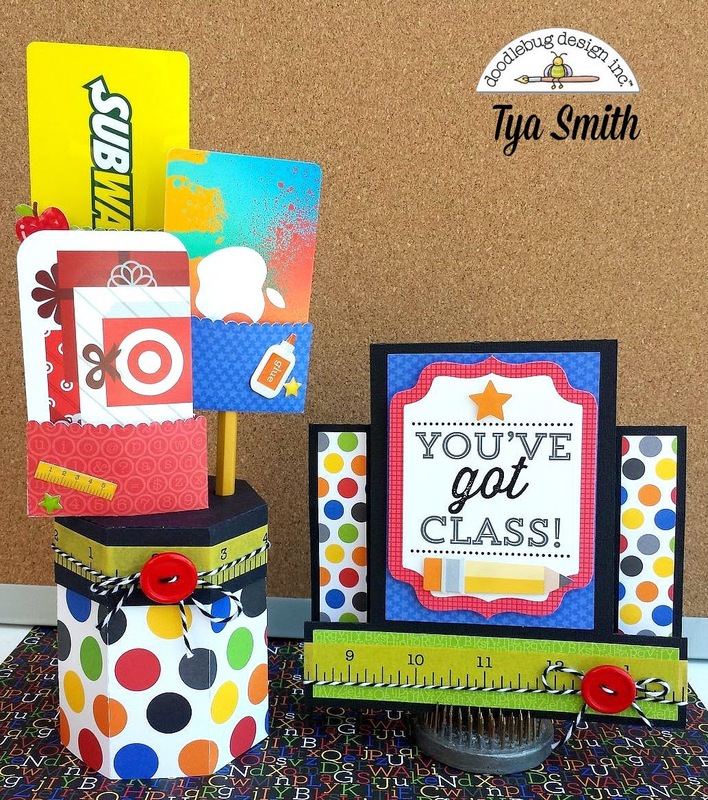 The other project is a really fun gift card holder with the cards on pencils. I thought this was so clever! I used more papers from the 6x6 pad for the little envelopes the gift cards are in and then some black cardstock and the adorable primary polka dots pattern paper for the base. It's finished off with the tape measure washi and the twine and red button like on the card above. To finish the gift card holders off , I added some of the awesome school sprinkles shapes to each of the little envelopes. Thank you so much for stopping by today! Hopefully I have inspired you to remember those awesome teachers in your kids lives and make sure to show them some love with a darling gift using the Back to School line! These are fabulous Tya!! Any teacher would be thrilled to receive one! 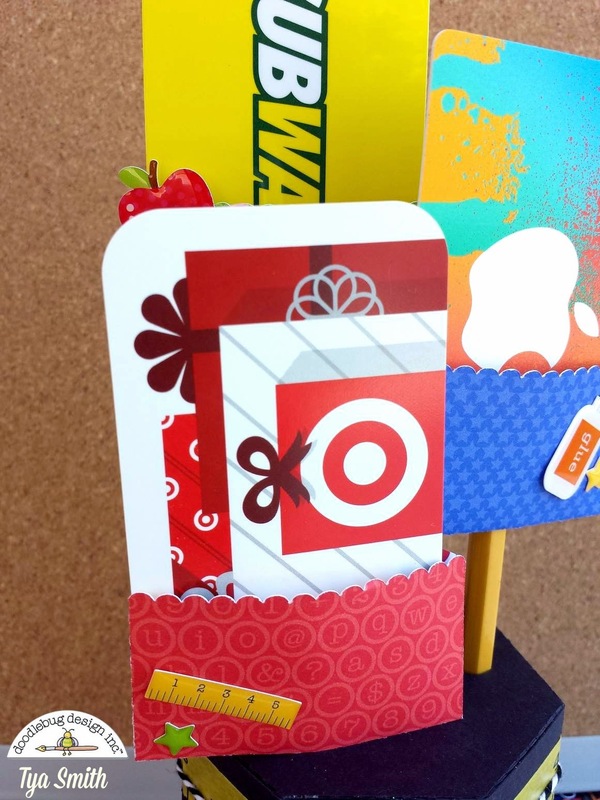 This is absolutely a SUPER COOL idea and such a fun way to give an assortment of gift cards to a wonderful teacher!!! You are wonderful to share this fab idea with us!! !